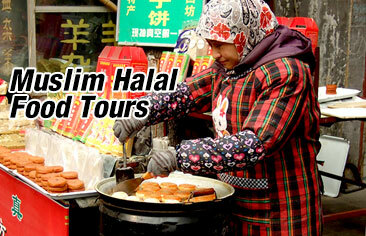 Tour price include air-conditioned coach transfer, guided service (English supplemented by Putonghua), Chinese dinner at Jumbo Kingdom, tram ticket to the Victoria Peak, The Sky Terrace 428, Madame Tussauds admission ticket and Chinese dinner at Jumbo Kingdom. Your tour guide will pick you up you at the hotel lobby at around 4:30PM. You will take the world's steepest funicular railway up to Victoria Peak. Follow by a visit to both The Sky Terrace and Madame Tussauds Hong Kong--Features more than 100 incredible wax figures of famous stars, world leaders & sports heroes displayed in five totally interactive themed settings. You are allowed to pose with any of the wax models, it's an amazing experience! You will then feast at Hong Kong's famous floating restaurant – Jumbo Kingdom for dinner. 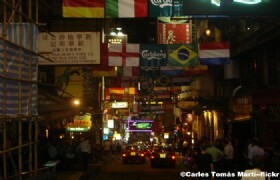 Afterwards, experience the very best nightlife with a city walk- The Bar Street of LAN KWAI FONG. Later, you will be transferred back to your hotel bringing the tour to an end. Take the World’s steepest funicular railway up to the peak. Looking down from the highest viewing platform – THE SKY TERRACE 428, you’ll be amazed by the spectacular evening view of the surrounding city skyline and Victoria Harbour towering skyscrapers. Feel like dinner amidst the sumptuous surroundings of a Chinese palace? Jumbo Kingdom, one of HK's truly unique attraction. A superb Chinese dinner will be served at this world renowned floating restaurant. It all started in the 80′s with the opening of the original California Restaurant, treating everyone in Hong Kong to the finest Burger in town and dancing into the night. 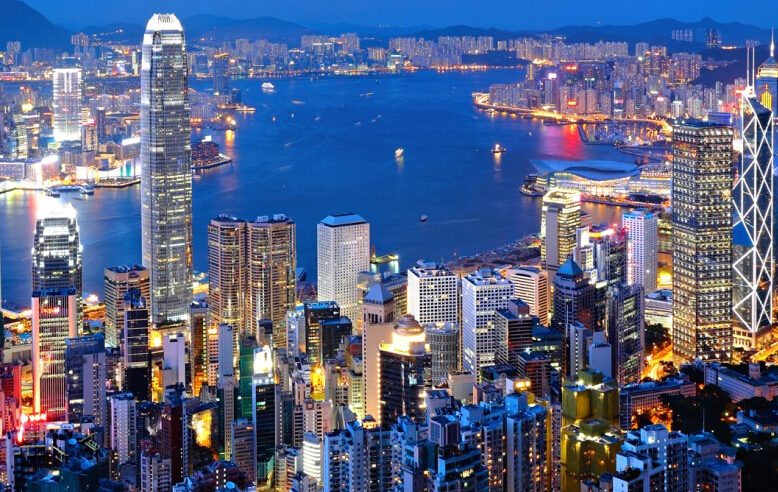 It has since transformed into Hong Kong’s most popular night life hotspot with over 90 restaurants and bars. A must visit place for all visitors! After we arrive at Lan Kwai Fong, our coach will take passengers back to hotel. For those people who want to continue enjoying the night life at Lan Kwai Fong, guests are welcomed to stay behind (transfer to hotel by own arrangement). 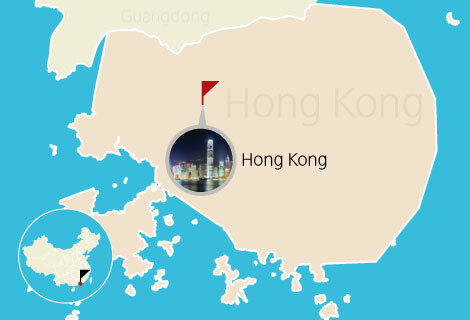 We pickup from hotels in Hong Kong Island, and hotels in Kowloon. Please click the link of the hotel pickup list here. We have 2 night tours incl. the Victoria Peak, The Sky Terrace, Madame Tussauds. 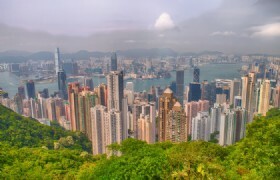 Tour price include air-conditioned coach transfer, guided service (English supplemented by Putonghua), round trip tram ticket to the Victoria Peak, The Sky Terrace 428 and Madame Tussauds HK admission ticket.